Jollibee Hotline Contact in Cebu for Delivery. If you happen to order a meal on Jollibee and you don't know what's there contact numbers, hotline numbers or online number. This hotline numbers is for you especially for Cebu, Philippines. If you are located in Cebu, then this is the hotline contact numbers in order for you to order from them a happy meal from Jollibee. Remember, this is just an information for Jollibee and I'm not endorsing about the products or review from Jollibee and this is not a paid post, this is just a tip and a little help for those who would like to eat a Jollibee meal instantly without going to the Jollibee where it is located. That's 8-7000 Jollibee Delivery Hotline! It's very to order a Jollibee meal in the Philippines in just a ring of your telephone. The above hotline number are the number you have to conact Jollibee Delivery in the Philippines and here in Cebu. Here are some also other alternative numbers from Jollibee. 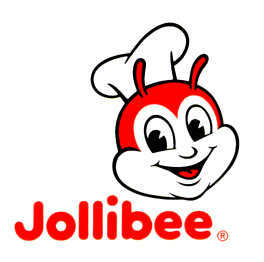 (02) 898-7777 - all seleted Jollibee Hotline number nationwide. When you are contacting via a cellphone or mobile phone, be sure to add the area code of Cebu: 032. For example, you have to dial 0322387000. Here are some comment from the netizens gathered who were encountered ordering Jollibee via hotline numbers. And it's up to you if you believe them or not. But some comments were rude and poor because they were not satisfied when it comes to ordering a Jollibee meal. But I think nobody is perfect even though Jollibee is making the best they can. Will you have something to say? Feel free to comment below by treating us friend. Just write your comment below on how you were treated from Jollibee.